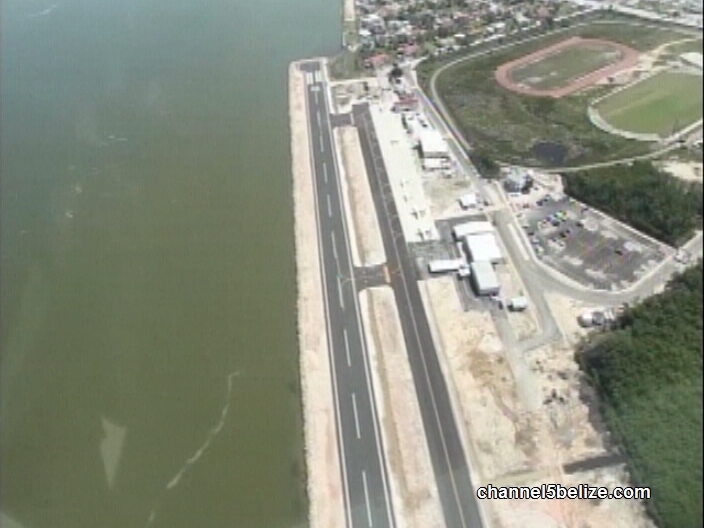 If you are planning to travel from the Belize City municipal airstrip this weekend, you will likely have to make new plans. 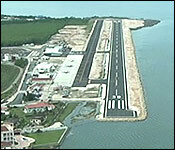 There is word tonight that the airstrip will be closed for urgent repairs to the runway. The relevant authorities met today to consider the concerns of the operators and took the decision to close the airstrip temporarily. It is all very interesting because millions of dollars from Social Security money was spent to upgrade the airstrip not too long ago. Imer Hernandez, was the contractor, his company has received numerous contracts for works across the country including one to upgrade the Caye Caulker Municipal airstrip. "No the airport is not falling apart. What's happening is that we are under the defects liability period that is a part of the contract. It is an element that is in all the contracts. Before we signed off on the contracts, we have our engineers Anthony Thurton and Associates Ltd, one of the most reputable firms in Belize. They go out and inspect the works that have been done under the contract of Mr. Imer Hernandez and his company. Until we are satisfied that everything has been addressed or any works that need to be done and believe me this reported to the board in a monthly fashion, the board meets every month. We cannot wrap up until all those things are addressed and this is what's going on. We've detected some elements of the runway that need to be remedied, and that's what we're going to do over the weekend. To answer what was put out there, the operations at the Sir Barry Bowen will not be stopped. We will not stop the operation, so if you're flying into Belize City, you will be able to get on to your destination as per schedule. We'll be working on the runway doing small repairs. 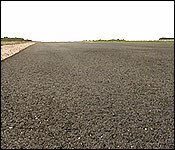 We'll be using the taxi way, that is why the investment was made in such a way because you may want to be using the taxi way at some point to conduct your repairs on the runway and vice versa. That's the good thing about this is that we can use the taxi way and have the traffic continue, it won't disrupt the operations." "Now I understand that there are 3 dips in the main runway and that is what is being remedied in this weekend's work is that correct?" "It's actually 4, these are, from the beginning our engineers as I understand which has been explained to me and board, this was expected to happen, there was a settlements that had been monitored. If you walk out there with your camera, you won't see anything in terms of what's perceptible to the eye. There's no cutting of the runway, it's just to do minimal topping to compensate for that minimal settlement that's going on." "They are not going to cut the runway. The work that you have described, you said they will just do some hotmix, it sounds superficial, but your problems seems to be profound or structural that the fill is not enough to support the runway." "No, I wouldn't put it like that, that's not what is happening according to our engineers." "Seventeen million dollars spent but one has the feeling that, Nick this is a new runway and we shouldn't have to be doing works on it. 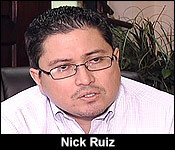 Did the tax payer, the government of Belize, the people of Belize, did they get value for money?" "Yes they have. It is a brand new aerodromes, state of the art, wider, you can land at night. It has a taxi way that's just as wide, and you can use it for those instances where you have to come and do some works on the runway and vice versa." "But months after opening, these dips didn't just show up. I've been hearing about them for like 6 months at least. I'm saying that I understand state of the art, but is it properly done? This contractor has a history. We have to be real." "I'm not going to get into the history of the contractor, but again, from the reports that we are getting from our engineers and I keep stating that we feel that these are some of the best engineers that Belize has, the settlement was something that was expected from the beginning. I could understand how it could be spun in such a way that you're not getting value for money. But again, from what I know, from what the board knows, I'm here to assure you that the investment that was done was one that you could say the value is right there, the value for money and I don't think it's a case where we have what you term "structural failure" at the runway." The contractor for the project was the highly controversial, much - questioned - for - quality and competence, UDP favorite Imer Hernandez. The remedial works are being done using the retainer on his contract. This is slated by civil Aviation to be closed up until Wednesday, but Ruiz says work will be likely be finished by Monday. This misleading story resulted in me taking the water taxi (which was great, efficient, and very pleasant) and then I discovered that there were flights from the Municipal airport over the weekend. I did get to fly home on sunday. The airlines simply reverted to utilizing the taxi way which is the old airstrip that runs parallel with the new airstrip. I wonder how much business the airlines lost due to sensational journalism.